Music carefully crafted, tastefully new, intellectually interesting, with excellent audience appeal. 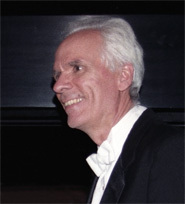 Bruce Ashton is a fluent writer with an ear for the distinctive sound which "fits". From original hymn tunes to chamber music miniatures, from sprightly duet arrangements to festival anthems, his craftsmanship is always at the service of the listener's pleasure and satisfaction. 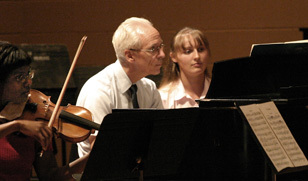 Composer-arranger J. Bruce Ashton specializes in tasteful arrangements of hymns and familiar tunes for small ensembles, choir and orchestra, as well as appealing original compositions for recital hall and church. Most of his works were written for specific individuals, groups, or occasions. Many have been performed frequently, and have become dearly loved by those who have heard them and performed them. However, the majority of his hundreds of pieces have been, until now, unpublished, and thus not available to the general public. With the launching of this web site, we are seeking to correct that situation. 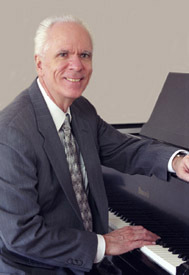 You will find on its pages a sampling of Dr. Ashton's compositions. This listing will be increased as manuscripts can be located, transcribed and made ready for publicaton. We hope that you will enjoy browsing through the collection, and that you will find something in it that will fit your needs and bring you pleasure.